"Infor ERP works fine if people use it"
The thing I like best is the capabilities it has to sort through a lot of data very quickly. Workbenches are extremely helpful when wanting to save a view that you want to return to. The subset functionality is very basic. You can't use parenthesis on multiple criteria (e.g., give me all items that are "A" and "B" and C" and ("D" or "E")). Make sure that everyone the system to its utmost capabilities. Otherwise, you can create a lot of issues. Our company uses Infor ERP for all of our business transactions. From customer service, purchasing, manufacturing, warehouse, accounting, etc. Infor ERP is crucial to all aspects of our order to cash cycle. There is great transparency within the system when it is being fully utilized by all departments. The issues come when people want to do too much outside of the system and do not update the system accordingly. "Versatile with lots of depth, can take getting used to"
The 'card layout' for building estimates of equipment is very useful, letting us immediately see the structure to a complex system and swap parts and services in and out easily. The default reports within the system did not meet our needs, and customer reports were required. Manipulation of the manufacturing cards is fairly straightforward, but it will take trial and error / practice to learn the rules of when you can and can't copy/paste, or when the info you need does or does not copy over, etc. The pricing within the parts database is not updated realtime when building up a new estimate in the manufacturing window, so this must be done manually. However, this can lead to mistakes if the 'cost reset' is done after manual manipulation of certain parts. A well-organized implementation team is recommended that will discuss and document all needed items for the implementation. Extensive testing / trial is required before going live. Continued internal support is required after implementation to work out any issues that come up. More streamlined cost estimating for full systems, more detailed cost breakdowns for systems, better historical records and searching of those records, better parts maintenance, easier to utilize past estimates for new projects, easier to move estimates in to orders, easier to generate parts lists, and to issue parts orders. "Convenient software used for several functions but bulky and confusing upon first try"
As an associate using this software to better connect to other employees and the management team, this software connects all emails between workers and management and work schedules within one interface. Very convenient to have everything in one place. I have never had any issues with emails and requests for shift swaps or contact information. The links to outside webpages, such as the self-service interface that is specific to AMC is conveniently located on the home page. Checking contact information of fellow associates takes a long time and requires much navigation, as does navigation for other aspects of the software (work scheduling, pay is shown per day instead of within one page, etc.). Ways to improve would be to consolidate everything within one page. Additionally, I have found it difficult to personalize the webpage, home page, email, and scheduling pages to settings that may benefit me in terms of efficiency and convenience. Moreover, a tutorial of the interface, whether a video explanation or a quick run-down of the functions, would have provided a better understanding of how to use every function on the interface. Infor ERP helped a lot with networking and connectivity significantly more than regular mass emails. It broke the barrier between employees and management, which has helped create a more efficient, confidential, trusting environment for these two crucial components of the organization. The interface is almost purely text based with no ability to add graphics or shortcuts. that makes the users and training curve alot longer especially for the under 30 crowd that might have never used a text based data entry or programing system. Learn it, put systems in place to make sure that the information is accurate. if you don't it's a garbage in garbage out, but it is great at data organization and validation. "My computer skills increased dramatically using and learning Lawson." Ease of use between applications. File structure and menus were similar across the applications used whether is was AP, AR, FA or other apps. Was easy to access the databases and create custom reports using Monarch Data Mining. Help menus were not detailed enough. You have to have table layout to figure out some of the help menus and what they meant. You needed a lot work to be able to do some of the more detailed things available in Lawson and some of those were not used. Our lead technical person did not share their knowledge to make themselves look better and smarter. Had to use an outside macro to be able to load very big journal entries using an Excel table and uploading the data into the Lawson databases. Make sure you have MULTIPLE competent users to train other users. The table structure was easy to access with other software whether it was Crystal reports or Monarch. Used Monarch mainly to interpret the data in a lot of ways that Lawson did not provide. Lawson was great for our recurring rent payments as we had 180 stores we paid rent, CAM and Real Estate tax estimates every month. Our company is using Lawson ERP (M3) for the payments related to procurement of services as it shows which invoices are outstanding and which have already been paid. Besides the regular month-end close performed by Accounts Payable, this software offers countless benefits when it comes to processes such as validating vendor claims when the invoice has already been paid - often under a lump sum payment from another legal entity. What I like best about Infor M3 is the quantity of users who can use the software at the same time, for order and inventory management. We have a large team, in several different states, and we can all access the information and complete the tasks we need to seemlessly. I dislike that there are so many steps to set up a product for shipment, so once an order is entered, if one of the steps was missed, the order confirmation is missing information, however it can be any of the 21 steps. The proccess to set up the product for specific packaging terms for a specific warehouse seems excessive. We utilize Infor M3 for inventory and order entry and management. This allows our chemical plants to manage their invenotry of raw materials to produce our products, as well as manage the product inventory levels to meet customer orders. "MAPICS XA Client Architecture Release 6"
I am able to view who changed certain items, and the date when the items were changed by that user. This helps track the historical processes and revisions. Standard costs and current costs are tracked. Routings, item revisions, and Item Processes were a bit convoluted in this release. There is no right way to do certain things, and it is not clear what information will be visible to the next user in the process to aid in their decision making. It is not straightforward to see the variables that go into item costing. This review was for a previous version from 1999 or 2000. I am not in favor nor against more modern iterations of their products. I use Infor MAPICS to create product routings. It stores previous versions of routings so that they can be accessed in the future if newer equipment is no longer available. I like that everything is in one system. I also like the automated functions such as how it completes the percentages when you are distributing funds across multiple budget lines (all you have to do is put in the amount). I also like that it will add the amount for you when you are itemizing or placing in hotel room costs so that you can see what you have left to itemize. I dislike that I often have issues finding a budget line even after I have requested access multiple time. This may be an organization issue and not an application issue, however. It is helpful for budgeting purposes, but I am not using it to solve any issues. "Great product once you get the hang of it." Again, as long as you know the information you are trying to get out of the reports and things you are doing, it is a great product to use. The program is only as good as the people you have working it. Randomly come to small snags in reports or doing things just because I click the "back arrow" rather than close. Make sure that your IT is capable of manipulating data and knowing how to pull the data you want from the data you give the system. The program is only as good as the people managing it. Multiple groups in different areas having access to view, edit and create purchase orders and the history of who has touched it. We were able to customize this software to make it our own. I love all the different custom capabilities we can use as a sales team. We are able to keep a running list of top performers each day so the sales team can stay constantly updated of where they stand. Sometimes it crashes, and can be difficult to explain the halt in our daily activities to our customers. Make sure you tell them about all the capabilities you'll need in advance of starting this service. Our order entry system is all used to communicate with various departments. From Sales, to warehouse, to production, to boxing . The Mapics, or AS400 that it used to be before the change to infor. Yes, the old AS 400 look was like Mathew Broderic's War Games movie, but it was fast and simple. Move into the 2000's and now AS400 is now Infor and we have to put this windows friendly gui over the top that does nothing but slow down all processes. I am a data purist. I do not want to take my hands of my keyboard. So now with the Infor format we are constantly clicking and opening new windows and tabs and cards. Tasks for the service team (measured) were 4-6x original TTP. As an Inside Sales Manager i need a good easy to use integrated CRM. the solution that Infor offered was incredibly expense and not automatically integrated to Powerlink. (i was told by the salesman that they purchased a third party CRM and were offering that as the solution and branding it under in the Infor name. It was incredibly expensive and would require additional security measures on our side. This program is based on tried and true bones, but the number of new revisions are large and spending quickly adds up. Also it is hard to implement any of your home grown screens into Infor. This system was good for us when we manufacturing more. When we were running our plants (US and Mexico). It really is a good ERP system if that is what you were doing. Now we are also using our Shenzhen and Indian plants and neither of them are linked up to our system, even though we have tried to install Infor in our Shenzhen plant. It has been 2 years now and we have zero progress. Or whatever progress that has been made is invisible to the front lines. I like the ease of use and ability to quickly export reports into Excel format for further analysis. Some of the windows within Visual do not have an option to drill down to a transaction level. It helps keep track of the various steps of manufacturing and offers a good system to report financial information. I like that it is simple and there are not many options, leaving it very easy to use and user friendly. The interface isn’t as “pretty” as other websites, and could use some better graphics. Use for time cards, PTO entry, PTO estimator. Calculates everything so that we don’t have to. "great product with tons of features out of the box. " the simplicity and easy to use tools. This has helped our users expand more knowledge to our customers in regards to leave times, etc. a bitt of a learning curve coming from an older Oracle ERP. I like that the system is easy to learn because it is a very simple design. Infor seems to be slow and unpredictable. I am always being signed out or freezing up. Sometimes screens come in looking like the same screen is stacked on top of its self. Just not really great if you are on a roll and not wanting to be interrupted. Its great to know that everything has a place and I can go straight to a specific location to find it. Resumes, references, license verifications, etc are at the tip of my fingers, accessible at a moments notice. I like that the system has a lot of possibilities. You can do your search in a lot of different screens, depending on what information you would like to see. I liked that it was linked to our scanning software and we could see images of invoices really quick. I also liked that data entry was fairly quick and easy in Lawson. I disliked the limited options that involved paying contractors that require retainage being held. Lawson would round and I had to run a separate spreadsheet to keep track of the retainage held for each vendor-very time consuming. Also, there was no report that would automatically split a payment between different lines on a Purchase Order- I had to do it manually. Also, there was no option to see how much money is left on the Purchase Order until an invoice was getting processed. I didn't like that sometimes the information between different screens would not match. All these issues were brought up to our consultant but were never resolved. I processed invoices through the Lawson system, and tried to find the most efficient way. I realized that there is a lot of work-around to get my job done. "Ease of information access under one roof"
I like the fact that infor allows you to keep things you would have on multiple websites in one. I like what I'm able to access from my company under a few tabs. I dislike the overall look of it. I am not on the administrative end, so I'm not sure how much you could edit that. It needs a more modern feel. I am solving the issue of employee information housing. I can easily look on this site for everything I need when it comes to my users. I like how I can adjust the views in the program for exactly what I'm looking for. I can sort data by date input into the system, order numbers, etc. wish there were even more filters available, I find myself exporting to excel a lot to manipulate items as i need to. If I had the ability to add even more filters that would be awesome, every situation is different. Inventory mainly, its real time so I can see what I have based on orders already allocated in the system. "Still going through the validation process but great product"
The product is very scalable. We have only 25 employees and it's not too big. We know of companies with over 500 employees who use the same software and it's not to small for them. Because we are small and we do not have a very strong IT department, so when we upgrade we have to pay a VAR to help us with it and it is a bit expensive for us. I probably would be much help here. We are just using to track customer complaints and basic interactions. We need to use it to more of its potential. We used to only do distribution, no we also do light manufacturing. So we are solving production issues using the software. We are also using the simple CRM inherent in Syteline in order to keep up with interactions with our customers/prospects. We were able to successfully implement Visual ERP on our first try. We had simple buy-in from our manufacturing shop employees to easily "punch-in" to projects they were working on for time tracking. There was quite a bit of customization that we needed to take care of in-house to better suit our operations. Better Costing. Better Labour Tracking. Closer Inventory Control. Professional Accounting. "Crashes & hangs up regularly"
It crashes and/or hangs up regularly, I don't fully understand what it is "supposed to do" vs. how it is currently implemented by my employer. As with anything, try to know precisely what you wish to accomplish before making any decision. It's basically a global intranet in our manifestation, it serves a central source/interface that all employees access for certain info and functions. 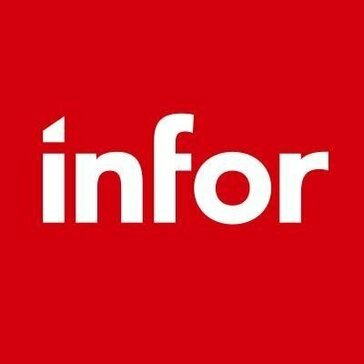 "my experience with infor ERP has benn great it's very easy to use"
sometime my computer gets frozen when i use it, this is the only problem that i have with it. i recommend to use it because is the best program that i've never used. It helps me with service-centered industries deliver better equipment service , and after that i start having more clients than before. I like how you can handle all of the business needs from an accounting perspective in one single software that for years has been proven to be a market leader. From an IT Audit point of view, this has to be one of the simplest and easiest software's to audit for periodic access review and super users. The one thing I would like to change its the look of the application. Don't get me wrong Lawson get everything done like it's supposed to but in reality it needs a major update to look better and more up to speed in today's standards. Managing periodic access review in order to be in compliance per company's policy and external auditors. "Infor has really increased our reporting capabilities"
Infor has a ton of useful reports that can be exported to Excel which can then be manipulated into statistical data we can use to make business decisions. It's a little plain and can be difficult to navigate without training. Solving efficiency issues and expense management. Reports are easy to export to Excel to then summarize and analyze. We can create trends and financial reports for our multiple entities on a clear, uniform, and concise basis. "Good ERP system for manufacturing companies"
Easy-to-use and intuitive user interface and standard functionality that is tailored for each industry (automotive, A&D, industrial manufacturing, retail, etc.). Time it takes to get some of the technical issues we report to Infor Support resolved, without having to use consulting (billable) resources. Also, the push to get Infor LN customers with on-premise installations to the Infor Cloud Suite. Reduced manufacturing costs, increased productivity, overall performance improvements for the whole company. The system is easy to use and understand. The financials are not online and in a drill-down format. The system is easy to use. We are currently switching to another company to upgrade to a web based system. The rental module built for our company has been hard to replicate in other companies. Infors rental module has been customized for our company and is one that has been hard to replicate in other companies. It's very easy to use and fill out once you do it once. It's very easy for our maintenance to track work orders. Nothing so far. I have been using it for about a year and no issues so far. I am only on the user side of this so I do not know of any background business issues with this software. "Outdated, difficult, overly complex "
Once you know how to use it is easy and fast. Difficult for someone to self teach themselves a specific task. Every new task must be taught by an experienced member. There isn't a print button. Printing is a complicated menu. The Lawson commands are fairly simple and straight forward. It was pretty easy to learn when I started out at my new job. The HR and payroll side of Lawson system is pretty good for simple things like looking up your paycheck information and vacation balance. So from an inquiry standpoint it is average though. The presentation itself is average. Unlike SAP, you cannot double click on an entry to see both sides of the journal entries. In fact, many entries are loaded together so it becomes very difficult audit. It seems I have to put into requests to the IT help desk to get information as no one else in accounting can get the information as well. Running reports seems to be difficult as well. Compare to SAP and I think you will see the right choice. I typically audit so I am looking to verify information. "Infor is a very intuitive ERP system"
All my important information is in one place. Easy to download pay stubs and other information. I liked having one place to go for all my tax/pay/hr stuff. User interface could use some updating. Maybe a customizable home screen with widgets you can choose. Having to log into multiple platforms for all human resource related items is an issue. Lawson keeps all information in one place and reduces the amount of emails from employees needing information. Very good UI which enables the user to view stats easily as it does most of the work for you. Can add better analysis tools, and make the input excel spreadsheets easiers. I like the fact that it is easy to access to my schedule and the work calendar is easy to use. Easy to load stuff to the cloud for everyone to see and really easy to transfer files and information. Easy access to customer profiles and past history. Able to easy and quick quotes and email to customers. "Lawson ERP - Senior Financial Analyst"
Overall, the system is easy to navigate and relatively intuitive. Information is presented in a clear straightforward manner. Search functionality works well though can be difficult to access certain screens. Drill-down function provides a wealth of information and transaction history provides detailed information. Search functionality mostly works well though certain screens are actually embedded and cannot be accessed directly through search. Drill down function can be cumbersome at times and some information seems repetitive or irrelevant. Additionally, it's difficult to see the "other side" of journal entries after reviewing transaction history. A lack of detailed filters also makes search difficult. There seems to be wealth of functionality within the ERP system but it is not always as intuitive as SAP or Oracle. A detailed, hands-on training course would be beneficial to users. I work in internal controls and most of my job function requires reconciling transaction balances with source documentation and schedules. Information is clearly presented in debit and credit formats which makes it easy to reconcile screens to supporting schedules. "Using inför was counter intuitive." I liked the dashboard the best. It was easy to a access new notifications. I did not like its confusing way to find equipment around our facility and how to charge it. We have put our inventory on them. "Product integration across multiple platforms"
Too much customization can compromise data integrity. Furthermore, it's slow, albeit infrequently. Administer benefits to our employees. Infor has done pretty well -- no major complaints. Infor does a great job handling custom products. Their support team is accessible with strong knowledge of not only the product but also its applications and best practices. It is a complex ERP, not easy to fully utilize the depth & breadth of its functions. You need an IT person to customize reports, overcome system locks, etc. Ability to use process flow to streamline processes. it was very dynamic and sturdy. Had great Security measures - to prevent accounting mistakes. It was hard to maneuver and archaic look. Reminded me of DOS platform and UNIX as well. Not very intuitive if you didn't know the commands properly. Read up on manuals and UNIX based style of writing commands. it will make it easier to understand. Had to maintain accounts for executives. So it was good - that it would not let a CEO or CFO credit themselves with money. Someone else had to create those accounts and manipulate currency. Good safeguard against people using it for the wrong reasons. "To review and approve invoices "
Simple and easy to use. Able to look at an invoice, code the invoice and approve the invoice all in one screen is easy. "A pretty version of MOVEX"
Easy point and click navigation system helped our company replace an outdated system from the 80's. Easy to use. It's just a pretty version of our old ERP system and doesn't have a lot of muscle to run fast. I use Syteline and the best thing about is that it is easy to use and that it gives access to people based on roles. I was not able to just open any kind of report, I needed permission for some. I didn't like that sometimes it gets kind of slow and crashes kind of often. It's excellent for resource planning for keeping purchase orders up to date. It lets you know when order are late. At my last job, our corporate office used INFOR to keep all of our financials in one location. It was easy to navigate. The log-in process was hard to memorize. Utilize it! It looked simple and is simple! Keeping things together for easy reading back and forth. When we were having meetings regarding the P&L statements or bulleted budget reports - it was simple to click on each one to bring it up. 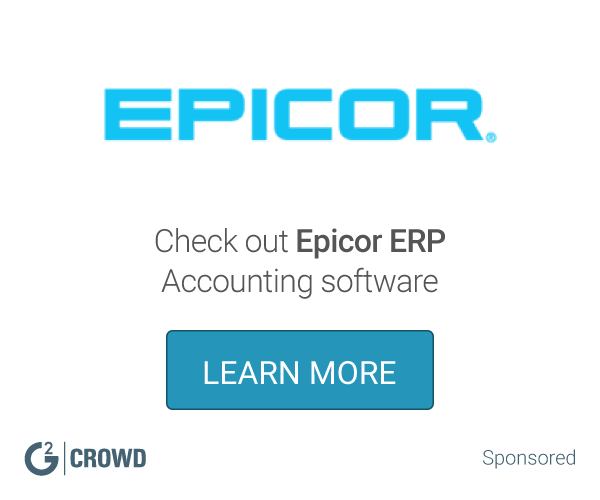 "Probably the best ERP for manufacturing enterprises." The shortage of qualified consultants for customer support. Problems: Very dynamic business environement. Several countries localizations. "Powerful tool but Hard to Learn"
Love that once you know it, it’s pretty easy to find the information you’re looking for. Hard to learn and teach. Really only a tool for people who are in it all the time. Great for large organizations that have IT resources to give to Infor. Not for small organizations. It keeps all financial and HR data for our organization. "Fantastic service that I would recommend to anyone." I liked the easy interface it had and how intuitive it was. I wish there were more efficient options to choose from. We are making everything a lot more efficient. * We monitor all Infor ERP reviews to prevent fraudulent reviews and keep review quality high. We do not post reviews by company employees or direct competitors. Validated reviews require the user to submit a screenshot of the product containing their user ID, in order to verify a user is an actual user of the product.